The Superdrug website claims this product “creates a perfect base for you to pop your make up on top of”. “Slightly mattifying the skin” "Smoothing out the texture and helping reduce pore size.” Oh MUA..Why you lying to me?! How has this product got a 5* rating on Superdrug.com? What am I missing here? So I am a very big fan of MUA cosmetics as I feel their products are great value for money but I was really disappointed with this product. Let me explain..
First of all this primer has a very runny and liquidy consistency which I am not a fan of at all. It's really difficult to apply as it gets everywhere and can get so messy. I don’t feel this primer done my foundation any favours either. Due to the texture I feel my make-up has already started sliding and running within minutes of application so I had to apply a generous amount of powder to help it set which equals CAKE FACE. The packaging is pretty standard, however I would note the opening is very wide – that combined with the runniness of the product means a lot is wasted. 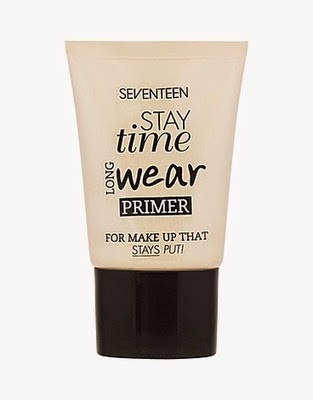 Although the primer is only £4 I wouldn’t recommend it, there are many more primers that can actually help your make up stay put for a similar price point. I haven’t had any bad reactions or breakouts due to this product but why pay £4 for a product that does nothing? 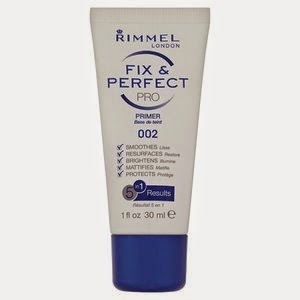 This is one of my favourite drugstore primers! Whenever I hear about a product that claims to be pore correcting/blurring/erasing or basically anything to hide pores I get excited! Genetically I have quite large pores so I love finding ways to disguise them. 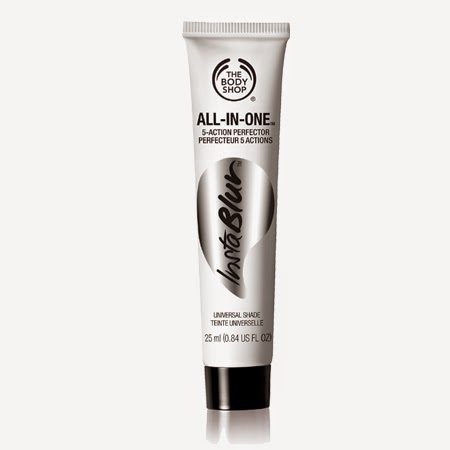 The texture of this primer is very creamy and silicone-based. It is super easy to apply, I apply a small amount to the back of my hand and take small bits and dot it around my face. Using my palms I then distribute this evenly all over. As soon as I have applied this I can see a noticeable difference in my skin, my skin feels and looks smoother and I do feel the appearance of my pores and reduced. Foundation glides on seamlessly and the added primer doesn’t make my skin feel heavy UNLESS too much is applied. Less is more with this primer as in the past I have applied too much and my make up just slides off. Although the product doesn’t claim to make your make up stay for a prolonged amount of time, I do feel like it does. However, the texture can become quite oily on hotter days so you will definitely need to set your foundation and concealer. I would say the closest high end primer this can be considered a dupe for is Smashbox Photo Finish Primer, the texture and feel of the product is very similar and with the dramatic difference in price its worth a go! Firstly, the tint to this primer is a no go. No thank you i'm not a fan of my skin already looking discoloured before my foundation is applied. For me this product feels more like applying a bb cream before foundation. No thanks but I may dislike the tint due to my own complexion as the colour is very pale compared to my natural skintone, so if you have a lighter skin tone it may be less offensive to you. The product dried up very easily and once applied to my face and rubbed in it became very flakey and dry which meant I had to wash it right off again. 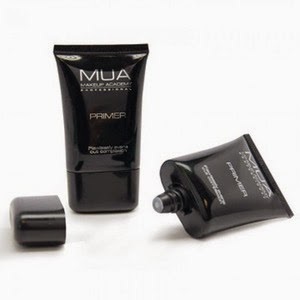 Unlike other primers it felt like I was dragging this product around my face rather than rubbing it in. 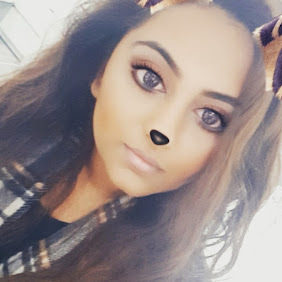 I would love to give a review on it’s lasting power but with the flakes and grains it left on my skin I am yet to apply foundation on top and keep it on for a whole day. I have found a use for it though! 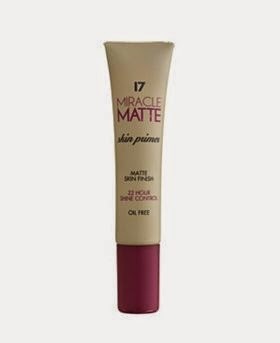 I hate wasting products – even the rubbish ones – so when I mixed this primer with the Maybelline – baby skin primer I found an amazing product! As the baby skin primer is sometimes to oily and this one is too dry, I added a tiny amount of both and mixed them on the back of my hand and applied to my face. It was the right consistency and balance between textures! As you can already tell I am a fan of silicone based primers and this is another great one. This is less greasy and oily than other primers I have mentioned, the product comes out as a transparent paste and has no fragrance. It is super easy to apply and it melts into your skin straight away. I just seem to get through these so much quicker than other primers. I don’t think I apply any more of this than others and the size of the bottle isn’t dissimilar (18ml). I just can’t justify purchasing a primer as often as I do this one. The packaging screams drugstore and have a very cheap feel. The lid doesn’t always close properly and has actually snapped off before which could explain why it dries out and becomes flakey on my skin after a while. For the price I would say it is worth it though, for £5.99 I do feel you are getting what you pay for with this item. It just isn’t the perfect primer for me as it doesn’t reduce or blur my dreaded pores but overall it's a great product and formula! Is The Body Shop classified as a drugstore? Maybe? Even if it’s not this product is too good not to mention! Obviously the anti-pore campaigner in me had to reach for this “instablur” primer to see whether this could be the answer to all my prayers and I can say this is definitely ONE answer. There are a few things that stop it being my FAVOURITE (Mainly the price point) but its up there with the best. I randomly came across this product when I was looking for nice smelly things in my local Body Shop, I tried out the tester and it seemed right up my alley. Again it is silicone based and promises to instantly blur imperfections and control shine for 12 hours so I was drawn in. Once applied to the back of my hand the product looks a little dry and flakey but none of this translates on to the face as it transforms into a more creamy substance. My skin feels and looks smoother and more even once applied. I have noticed my foundation is slightly harder to blend out once this product is applied but it does make my make up last longer and I don't always need to set my foundation which is a bonus! I do have to apply a generous amount of this product for me to feel my whole face is evenly covered, which wouldn't be a problem if it wasn't on the pricey side of drugstore primers. The packaging as pretty standard, white is never great for my make up collection as it will soon be orange but nothing offensive. The tube can get a bit annoying when you are close to finishing the product and getting the last bits out can be a pain, but that's just me being moany. So I don’t actually remember when I purchased this primer but when I was having a look through my make up collection to write this blog I came across it – barely used. So I thought I’d give it a go for a week or so and see why this had been abandoned. 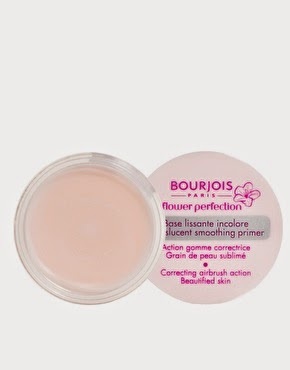 So first of all, the texture is a lot less oily and more creamy than other primers I have used, which is a plus! It’s great for mattifying an oily T-Zone and doesn’t feel runny or sticky on the skin. It blends and absorbs into the skin well and gives me a pretty even finish. In terms of lasting power I think the name “fix and perfect pro” is a bit far fetched. I didn't see much difference in how long my make up stayed put! I would apply it before work and by the end of the day my foundation would look kind of patchy if I didn't touch up during the day. The main downfall of this product and why I think I loss interest is the thickness! Once the primer is applied and foundation and put on top my skin looks very heavy and cakey.. It makes applying my make up harder than usual and my countour and bronzer doesn't sit right! After my re-test I remember why this product hadn't left a lasting impact on me. Its not terrible, its not great.. nothing I would suggest purchasing. Welcome to my breakout hell! So like I've mentioned I've used SEVENTEEN products before and found no irritation to my skin but this product and my skin just weren't loving life! I applied this primer as usual and found the consistency okay – not too oily but I needed to rub it in quickly to avoid it drying out and going flakey. As usual I applied my foundation on top which went on well, my skin didn't seem patchy or oily so the promise of “miracle matte” came through. My make up lasted around 6 hours of the day which is a shame because by the time I was on my way home from work my skin felt a bit icky – I couldn't wait to go home and get it off! I looked in the mirror and great – breakouts. My skin is not usually sensitive and I very rarely have bad reactions to any products so I dismissed it and thought it may just be due to something else. Cutting a long story short I repeatedly found this product led to more breakouts and the week went on and it wasn't until I changed my primer that these stopped! For that simple reason I wouldn't repurchase this product. My skin wouldn't thank me if I did. I wouldn't dismiss recommending it to others though, if you are looking for a product to reduce shine and oil on your skin then I would say give this a go, hopefully your skin is more forgiven than mine. One question: What the **** is this? This “primer” dried up in the pot within days of opening it (and yes I did shut the lid) it was so flakey and thick. My pores felt so clogged up and my skin just felt so dry. I tried this product out once so this isn't a detailed review but on first impressions I hated it. I was so confused as to why it has great reviews online so maybe my product was from a bad batch? Not much to say thought, used it a few times – hated it. Imagine the amount of chocolate I could have got for the tenner I spent on this? 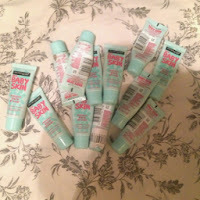 My winner has to be Maybelline - Baby Skin primer! As you can see I've repurchased this product again and again and it is most definitely the drugstore primer I would recommend to you! So there's my round up of my Drugstore primer finds.. I know they are brief reviews but I tried to get through them as easily as possible. Let me know which primer's you use from the drugstore and any other products you would recommend..
Great first post and I'm a go to for the maybelline primer! Congrats. I haven't tried many primers but there is a gosh one coming out tomorrow saw a raving review for it gosh primer plus check it out! 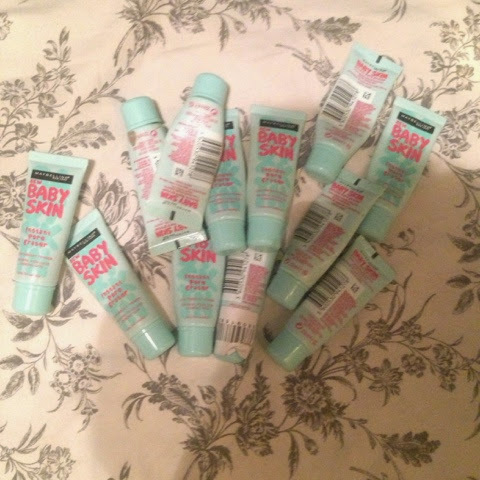 I have the baby skin primer but I don't like it very much. I have larger pores on my cheeks and I feel like it doesn't blur them. I never really believed primer would make that much of a difference, until I tried one from Smashbox! As much as I love it it's a little pricy to keep re-purchasing, so will definitely give the Maybelline one a try!